In a break from tradition, I’m going to tell you about my favourite cookbook rather than just a particular recipe. I’ve been using one book substantially more than any other, and in fact I’d go so far as to say the Oh She Glows cookbook may be the greatest Christmas present I have ever received. It is just packed full of delicious food, and I have wasted no time getting to grips with it. 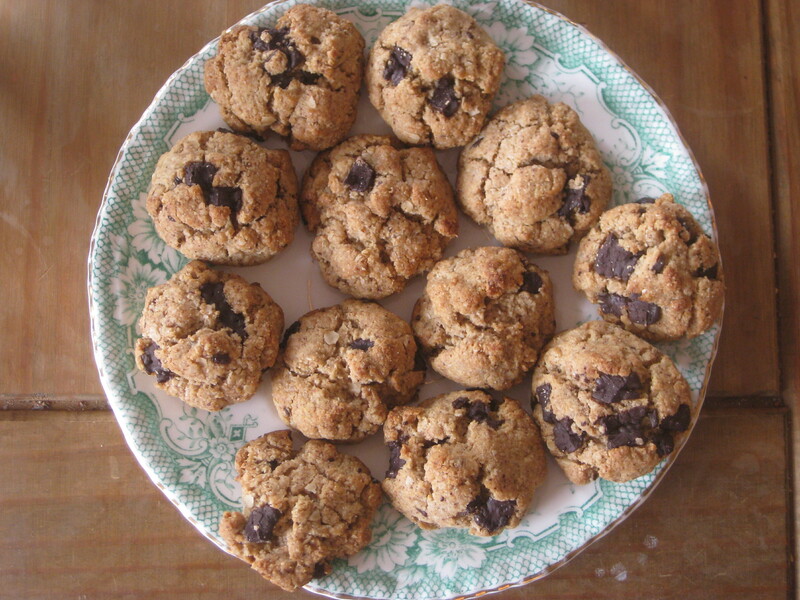 To start with something sweet, these are the almond chocolate cookies – from the picture in the book I had expected these to spread more, but instead they turned out as fat little blobs of delicious cookie, flavoured beautifully with almond butter. 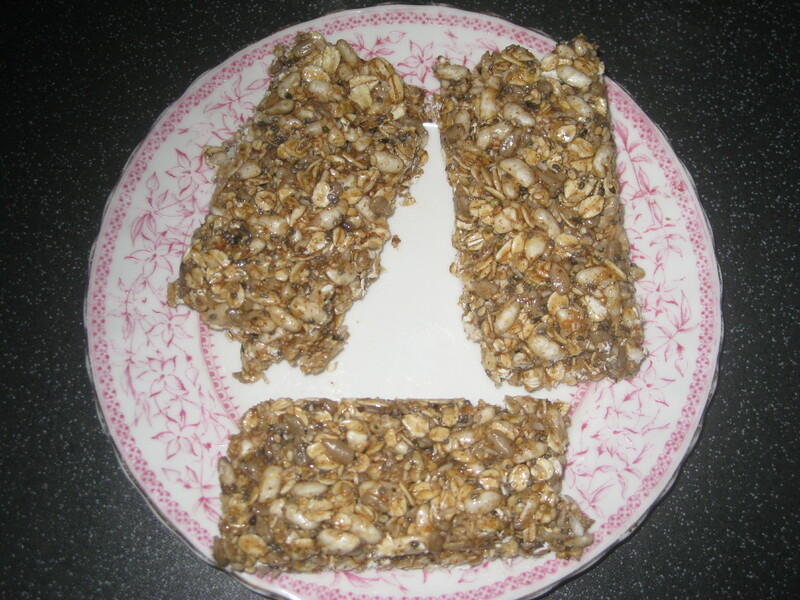 These glo bars are also a fantastic snack – full of seeds and oats, nicely salty from the almond butter, a really satisfying bite. I usually take a Nakd bar to work for my mid-morning snack, but I might start taking these instead. Bonus: they’re freezer friendly. 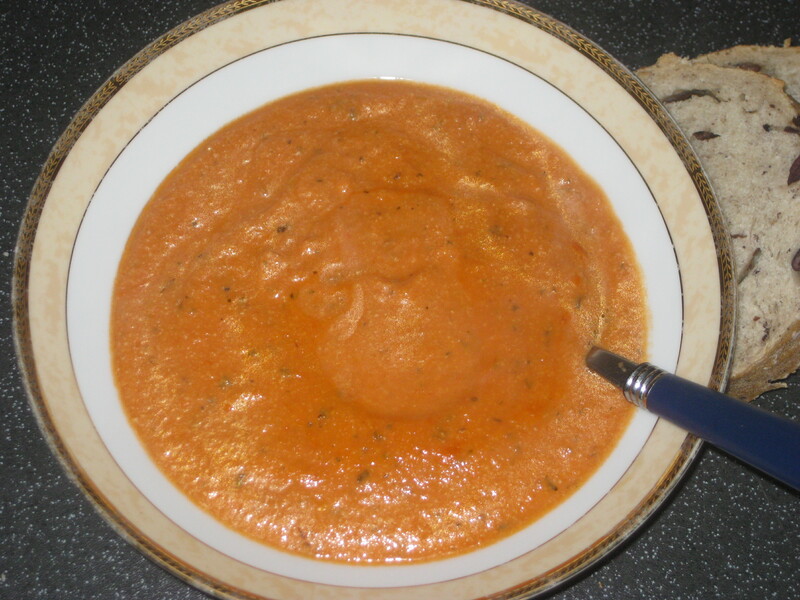 The creamy tomato soup has swiftly become my favourite tomato soup. This was possibly my first time using soaked cashews for creaminess, and I found it a very simple but effective method. All my American cookbooks are full of “bowl” recipes – essentially a grain, roasted vegetable, bean and tasty, tasty dressing or sauce. This englightened miso power bowl is a glorious example – flavoursome, colourful, balanced. 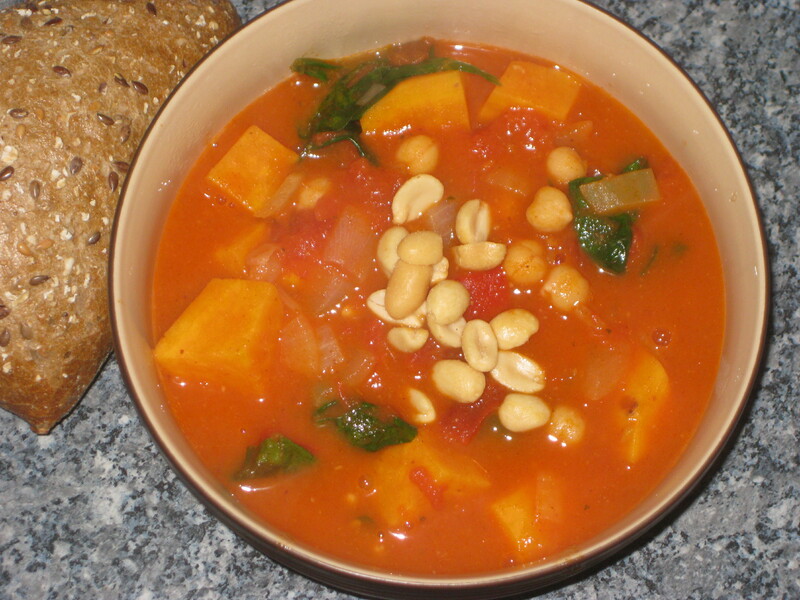 So far everyone I have fed this African peanut stew to has swiftly fallen in love with it, and it draws many an envious comment in the lunch hour. It’s so good. 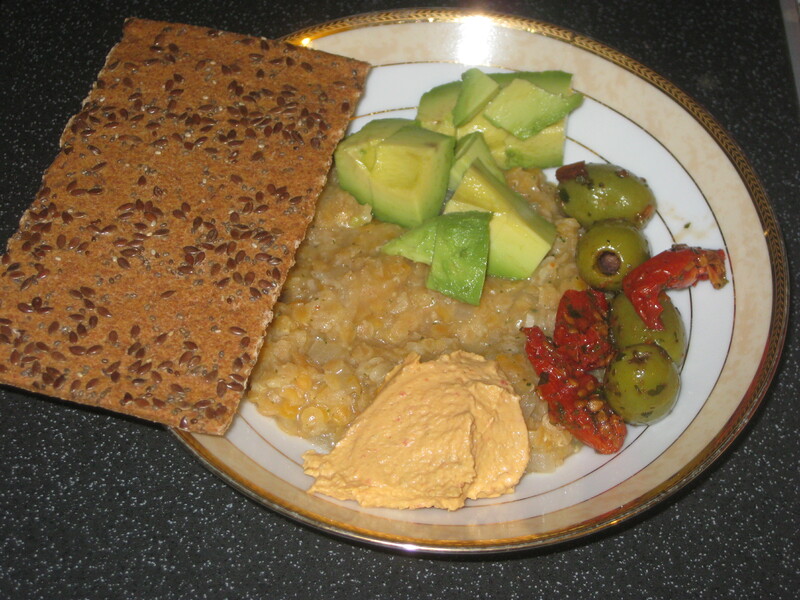 My new favourite breakfast: savoury porridge. Simple and effective, and unlike any breakfast I’ve made before. 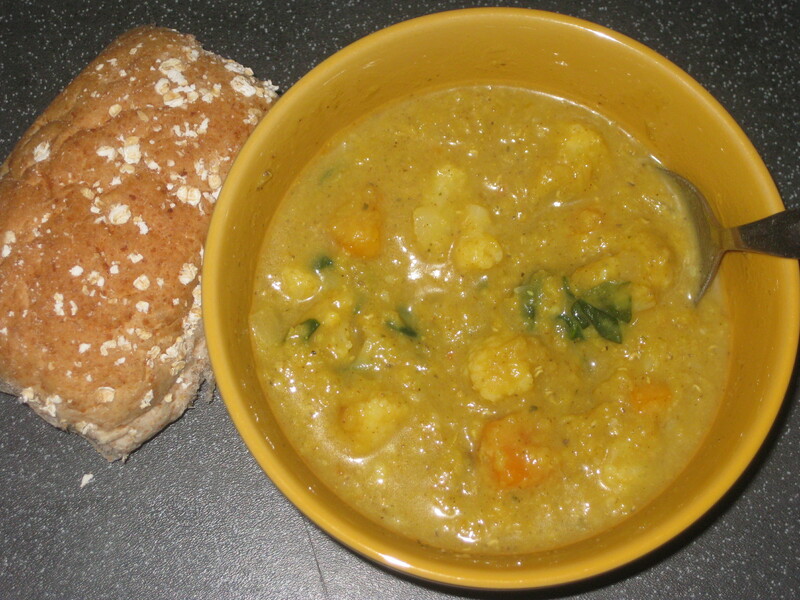 This Indian lentil and cauliflower soup looks spectacularly unattractive, but it tastes heavenly. Nice big chunks of cauliflower and warming curry spices – another winning lunch. 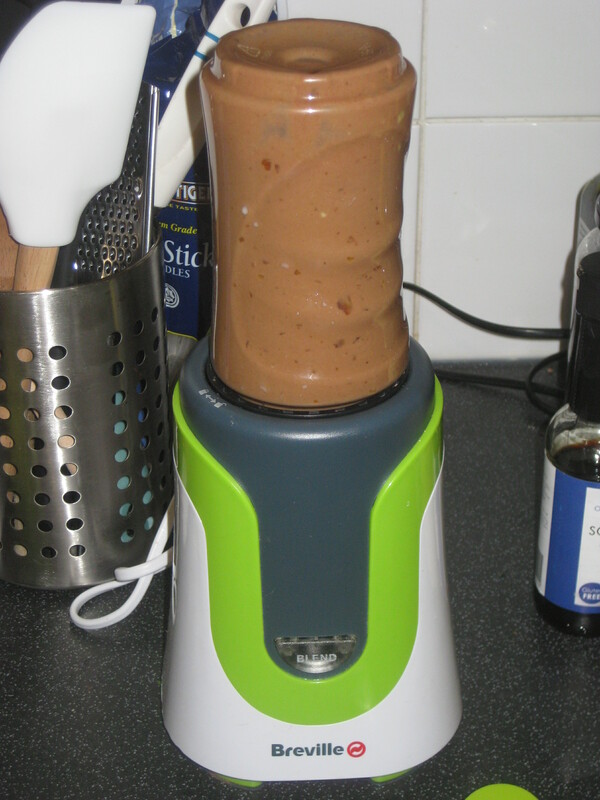 As part of our new year health regime, we’ve started having a daily fruit shake to ensure we get all our fruit and protein for the day. 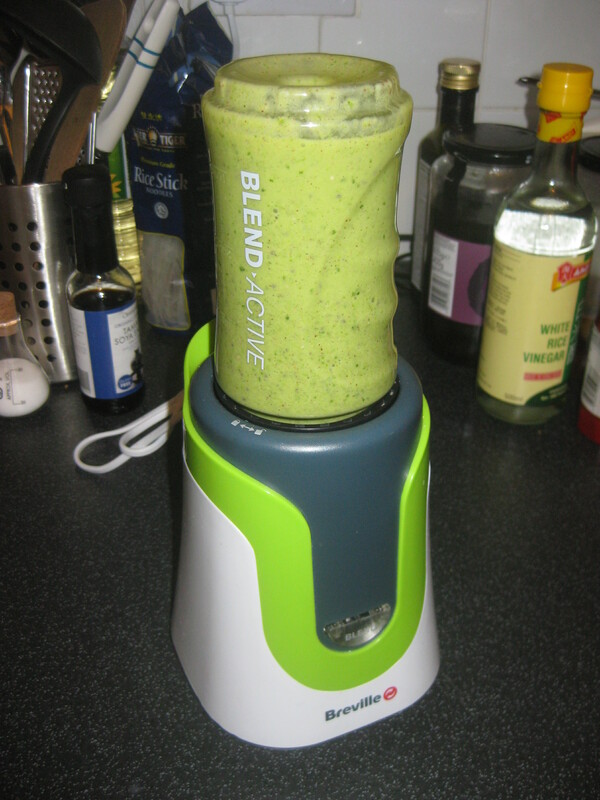 The green monster is deceptively delicious, but the cheerful chocolate avocado smoothie is my favourite. 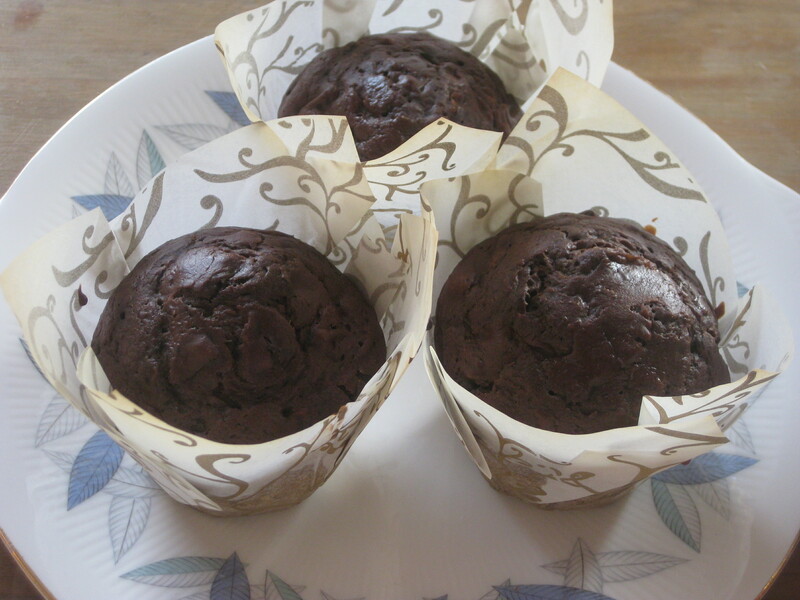 I hadn’t made muffins for ages before I tried this recipe for chocolate courgette muffins. I definitely recommend adding chopped walnuts, they give them a beautiful crunch. As with the other baked goods I’ve tried, they’re not too sweet and seem like as virtuous a treat as you can really get. This colourful tex mex casserole is a big hearty meal. 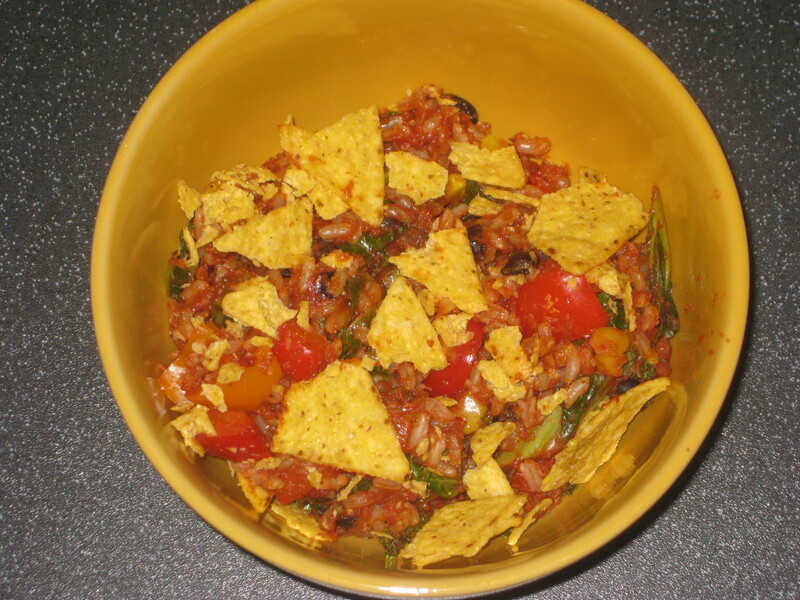 I love the crisps on top, and it was really easy to throw together. My fellow complains that all chillies and curries I make are “mildy”, but I think even he couldn’t grumble too much about the heat in this one! It’s quite rare for a book to capture my imagination quite as much as this one has, but I can’t seem to tear myself away from it – the pictures are all so tempting, and the ingredients are all so wholesome (the blog is amazing too, of course). I’ve already got another ten recipes earmarked to make soon – it may end up being the first book that I cook my way through from start to finish! As a bonus, while some of the ingredients have been a little expensive or not readily available in a supermarket (coconut sugar, for example), none of the recipes are fiddily or time consuming, nor do they need a lot of tweaking unless you want to be adventurous. Anyone trying to eat more veg should definitely give it a go, vegan or not. I don’t know that I’d describe myself as “glowing” now, but I certainly feel that I’m in better health than a month ago and am getting all of my five a day, and this is a book that certainly doesn’t hurt. If you have any tips on which recipes to try next, please let me know! 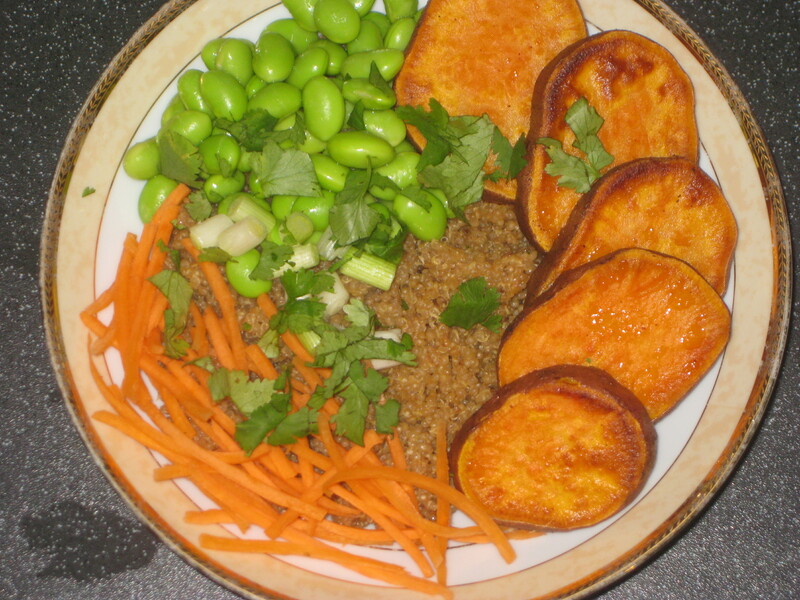 This entry was posted in Cookbooks and tagged Oh She Glows cookbook, vegan cookbooks. Bookmark the permalink. Looks like good mood food. I hope you’re as happy and healthy as I imagine you to be after eating all of this!